“He was a man without a mask; his aim was single, his path straight-forwards, and his wants few…” Samuel Palmer, on his friend and mentor. 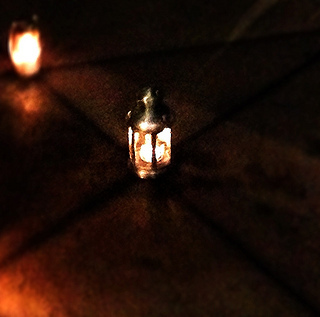 Even the most familiar places can be made to feel different, strange even, under the right circumstances. A book, a poem, a song or a painting, all have the potential to change the way we see the world. A walk that isn’t rushed and takes the time to stop and stare, turning corners and doubling back in ways you wouldn’t do when simply moving from A to B, can have a similar effect. Combine the two elements and the potential is there for a little magic to occur. Thursday 28th last month saw the 256th anniversary of William Blake’s birth. To celebrate, the people behind Curiocity – the map magazine – organized a walk around Soho, Covent Garden and Piccadilly taking in a variety of sites associated with the artist and visionary poet. 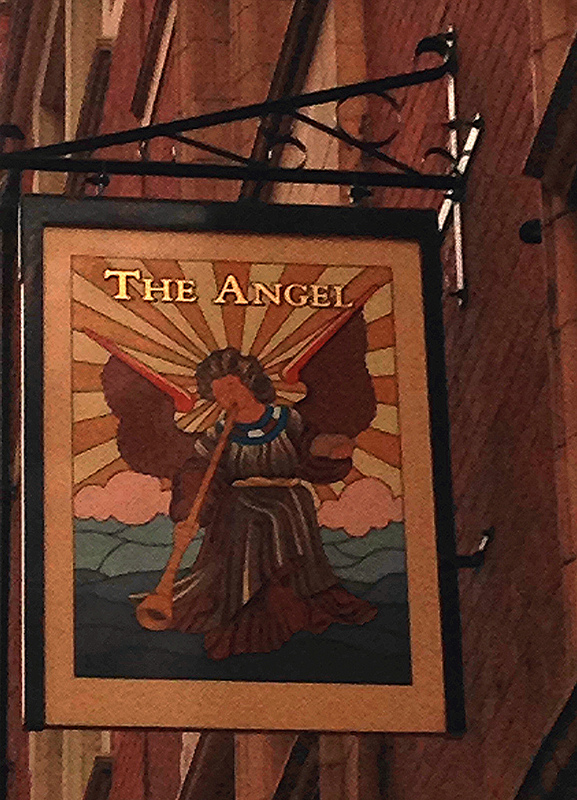 Our first stop – after meeting in the nearby John Snow pub on Broadwick Street – was number 8 Marshall Street. On 28 November 1757 in a house close to this spot Blake was born. Today William Blake House is a concrete office block, but on the 28 November 2013, at the foot of the steps, several members of our group lit lanterns – some proper box lanterns, others improvised with tea-lights in jam jars, Olde-Worlde style Christmas decoration lamps and a candle flickering on a smart-phone screen – and by doing so fired the early Soho evening into a different mode. Once the lamps had been lit our walk began, spiraling around Soho towards the edge of Covent Garden, then onto Strand, Trafalgar Square, up Haymarket Street and into Piccadilly, before bearing North up New Bond Street towards Blake’s former house at South Molton Street. When plotting the route the organisers had noted that, rather serendipitously, various Angels – on pub signs, buildings and Christmas decorations – could be seen at different points along the way. Looking out for these accidentally appropriate way-markers added a further layer of enjoyment to the evening. Our first stop was at Golden Square, where in 1809 Blake had exhibited 10 works at his brother’s hosiery shop. The first reading of the evening charged the air with lines from Jerusalem, quoting long passages from Plates 77 and 83. Having recently moved to West Norwood, the calling out of ‘lovely Lambeth’ raised an anachronistically knowing smile, but that aside, as the lanterns flickered and Blake’s clarion call was uttered, it seemed as if for a moment that our group was contained in a Scrooge-like bubble -observing the world around us but invisible to it. This dreamy fancy was momentarily shattered for me on Greek Street when a man insisted on shouting ‘Candles Candles’ as we passed, in a register normally reserved for football terraces. Our next stop was outside the former Courthouse on Great Marlborough street, where the writer Mark Mason – who’s latest book sees him travel the length of Britain entirely by local bus – entertained us with some local history and an amusing anecdote about his two very different appearances inside the building we were standing alongside. Around the corner from here is 28 Poland Street, where Blake lived between 1785 and 1790. Just a year after Blake moved out, The Ancient Order of Druids moved in, or rather, the group was founded at The Kings Arms. To mark this, a circle of water – San Pellegrino – was drawn on the ground as the group hummed in chorus. This drew some pleasingly fascinated pointing and gawking from the pub. From here we conducted a quick march down Oxford Street, dodging the throng of Christmas shoppers, and into Soho Square for another reading from Jerusalem. 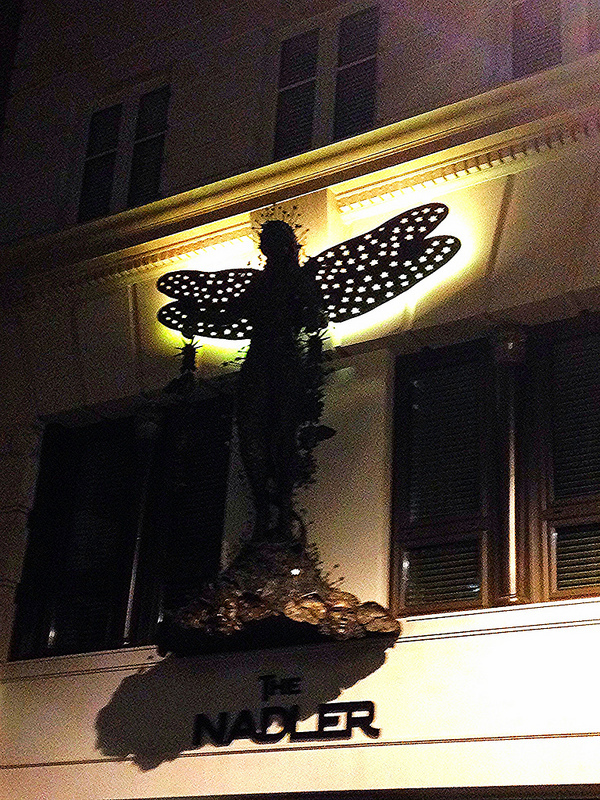 Moving swiftly on – and spotting some more Angels as we passed – we cut across Charing Cross Road and up Denmark Street and St Giles on route to Great Queen Street, where Blake served his apprenticeship under the engraver James Basire. Here, outside the imposing doors of Freemason’s Hall – the United Grand Lodge of England, writer and historical tour guide Robert Kingham, gave the next reading – with added atmosphere from a loose pentangle of lanterns placed at his feet. From Great Queen Street we headed for Fountain Court in the Savoy Buildings off Strand, the site of Blake’s final lodgings. Somewhere in the vicinity of what is now a large outlet grille for an air conditioning system, Blake drew his last breath, busying himself to the last as he worked on a portrait of his wife. After we had listened to the poignant story of Blake’s death, Adam Crick gave an energetic reading of The Fly, with the glowing embers of cigarettes fading in and out behind him, as nonchalant Savoy kitchen staff leant on service doors taking fag breaks. The Penton, Islington, a site that legend links with Merlin, and The Tothill, which before the Saxon conquest of South Eastern England in the 6th century, tradition holds, was the place where druids gathered to make laws and where they held a Tree Court. Now, the latest in a long line of palaces and religious buildings, on the approximate area stand Westminster Abbey and the Houses of Parliament. In relating this fascinating history, Rogers deserves extra praise for gamely battling against a nearby busker who was bashing out Bob Marley covers with voluminous gusto, annoying though this was, it seemed almost appropriate at the time. Our next destination was Waterstones Piccadilly who had generously provided glasses of wine for the group. Here we were treated to a delightful, impromptu explanation of Thanksgiving by one of the Americans in our group. At this point I’m afraid to say I had to slip away, missing out on the grand conclusion of the evening in Blake’s house at 17 South Molton Street. Here, Tim Heath of the Blake Society talked about the history of the house whilst providing a tour, before a film of Phillip Pulman at Bunhill fields reading Augeries of Innocence was screened. Thankfully, today, Blake’s legacy is assured – at least in terms of his work – which continues to delight and inspire nearly two centuries after his death. What he would make of contemporary London and of the state of things beyond the city I can’t say, but for a small number of followers, at least, on a November night in 2013 his work retains the power to transform the world, one step and one street at a time. Many thanks to Henry and Matt of CURIOCITY for devising and conducting the walk and for supplying me with a copy of some of the details behind it. Hey, hey! I don’t pretend to understand the whole thing, but I do love that first verse of Auguries of Innocence. Me too. Think it’s safe to add your own meaning.